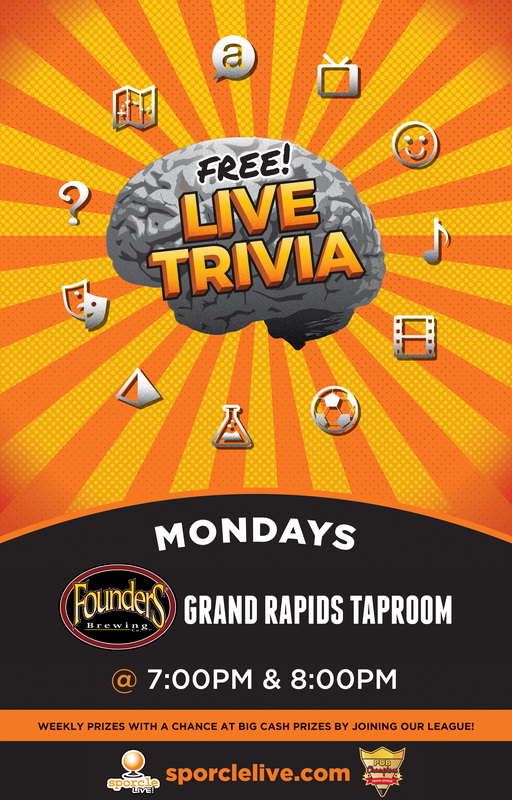 Free Trivia with Sporcle - Founders Brewing Co.
Come hang out with us by the Brassworks Bar and get your trivia on! Monday nights are Cheap Pitcher Night, so grab some friends to create your own trivia group. We will be awarding 1st and 2nd place prizes.